Congress never appropriated funds to introduce an “experimental species” of wolf, but during the Clinton Administration’s so-called War on the West, the Interior Department was undeterred. In 1999, Don Young Alaska’s Congressman, asked the General Accounting Office to audit the Pittman-Robertson Fund. The GAO audit revealed that in the mid-nineties $60,000,000 dollars or more in excise taxes collected from sportsmen on their firearms and ammunition purchases had been used unlawfully by US Fish and Wildlife Service. Among other things the money was used to pay bonuses to top people, open a California office and to travel to Canada, trap and relocate arctic wolves into the Northern Rockies ecosystem. It turns out the US Fish and Wildlife Service not only pilfered funds, even import laws were broken as wolves were brought across the Canadian border. Ranchers and local people on behalf of their livelihoods and the native timber wolf, using their own resources, filed lawsuits to stop US Fish and Wildlife Service from releasing the Canadian wolves - to no avail. A federal judge allowed the record of hundreds of wolf sightings to be ignored. The pleading of livestock producers was dismissed. Over two years, with help from Defenders of Wildlife, scores of what turned out to be diseased wolves were released around the region using sportsmen’s funds without congressional appropriation. Over the last 15 years, eating their way through once healthy deer, black bear, grouse, moose, big horn sheep and elk populations, the wolf has spread death, terror and spores of a potentially deadly wolf worm to a five state area. Anguished locals watched the destruction of pets, livestock and what was a national treasure, the great game herds of the northern Rockies. Local people now come face to face with packs of 15 or more monster-sized wolves, showing no fear. 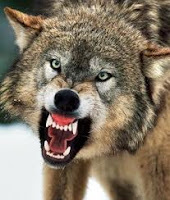 Under-counting by tribal, state and federal agencies, regulatory goal-post moving and judicial activism from the federal courts kept outdoorsmen from controlling the wolf population or even protecting their livestock on private property without prosecution. Use fladry, they were told! Grown men cried in public, telling what they had seen. Earth Justice, the law firm which holds Consultative Status to the United Nations, sued the Department of the Interior twice to prevent the experimental wolf’s removal from the Endangered Species List, using the Citizen Suit Provision of the Endangered Species Act. Their bill for attorney’s fees amounting to around a half a million dollars was paid by the American in taxpayer. Defenders of Wildlife, the lead plaintiff, whose Executive Vice President was the head of US Fish and Wildlife Service during Clinton’s Administration and dozens of other “environmental groups” receive taxpayer dollars in the form of “relief” awarded by federal judges when they win these lawsuits. Karen Budd-Falen says she has found billions. Congressional action in response to outcry from the rural people finally ended the Court’s and US Fish and Wildlife Service’s control of the experimental wolf in parts of Montana, Idaho, Oregon and Washington just this year, yet wolves are listed as endangered in the rest of the nation. These wolves were never endangered. They are a Species of Least Concern. They have done untold damage to our once healthy ecosystem. The machine that put wolves here was criminal. With enormous Canadian wolves running rampant through populated areas, people must be free to defend themselves and their property, their pets and livestock. Sportsmen must be allowed to take to the field to reduce wolf numbers. The poor Russian people, once they were disarmed by their government resorted to fladry - rags tied on the fence in hopes it would frighten wolves away. After World War II, Russian soldiers were sent to the north to kill wolves, but not before their uncontrolled numbers spilled across the ice to our hemisphere. Nurse Rachett’s of the political set are using the Endangered Species Act as a bludgeon against their fellow countrymen, destroying private property rights, putting forested communities at risk, even sending our neighbor’s kids overseas to die instead of producing our own oil. No amount of suffering is going to be too much for them. The media watchdog has been asleep, allowing this scandal. Let’s repeal the Endangered Species Act, and the state legislation categorizing wolves as anything other than a menace that can be shot on sight. Rena Wetherelt grew up on a cattle ranch in eastern Montana. After a career in broadcast advertising, both radio and TV, she now works as a videographer, telling the stories of the rural people of the northwest. Her TV magazine Sky Country Journal airs on certain Sundays throughout the region. Check local listings for Sky Country Journal beginning in December 2011. “Like” Sky Country Journal on facebook to keep in touch. This is a link to a collection of clips from Season 1. Originally posted at Canada Free Press. Posted here with permission of the author. This is a great issue of the Westerner. Reading it I am struck by the despair that people of the natural West feel. The have become subjects with an all powerful, all knowing ruling class. the symbolilsm DuBois has orchestrated this morning is amazing. First, the passion of the West is presented with the Carter piece. Wilmeth comes back with the realization that our leadership is shallow. The piece by Rene is fabulous and supports the Wilmeth message, and then we go to the border. Good Stuff!! !